This wine comes from Carignano grapes from sapling grapevines and of espalier of the lower region of Sulcis. The must ferments in presence of the vines at a controlled temperature of 25 and 28° C and is submitted to periodic pumping over grape dregs in order to allow the passage of substances extracted from the must. The malolactic fermentation gives origin to a soft and smooth wine, which matures in epoxy tubs and stainless steel tanks. After undergoing a fining down process it is then bottled where it remains for a few months before being placed on the market. 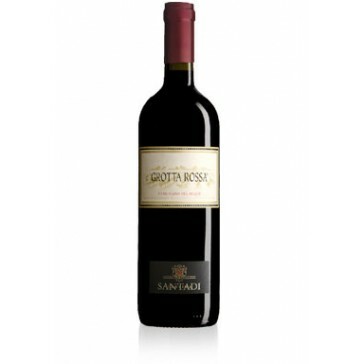 Its ruby red colour tends to be more of a pomegranate red, and its rich and intense bouquet brings baked prunes to mind. It has a full texture. 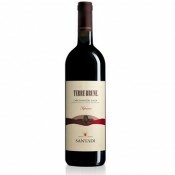 Goes very well with plates rich in taste such as meat and fish with sauces, wild game and cheeses of various types. It should be served at a temperature of 18-20 degrees centigrade. The perfect glass is a smooth and transparent crystal glass. This wine can improve a lot after various years. The bottles must be placed horizontally in a cool, damp and dark cellar.